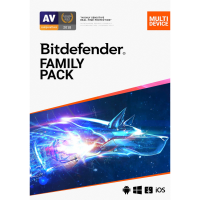 BitDefender Family Pack 2019 has to be the ultimate security solution. Why? 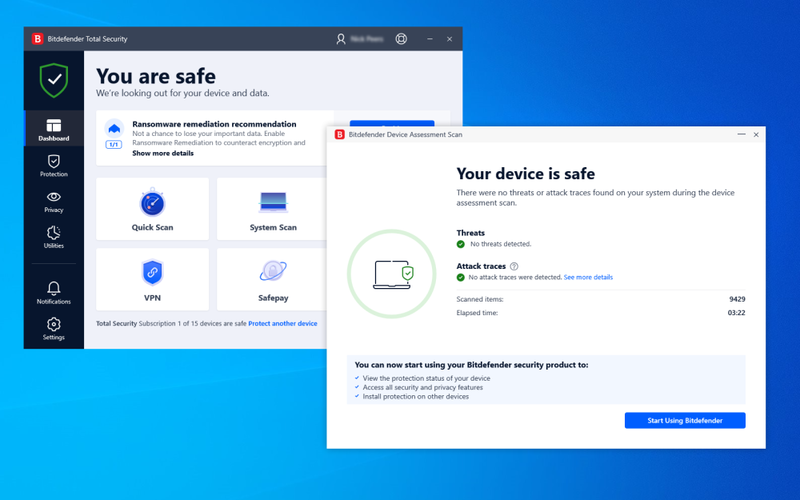 It takes Bitdefender Total Security 2019, the premier security suite and adds even more flexibility, enabling you to licence for the household. This means anyone within your local network, whether they own a PC, Mac, iOS or Android device, and irrespective of how many devices they own can activate a single copy of Family Pack 2019. It's that flexible. How does that differ from a regular copy of Total Security 2019? Buy a 10-device version of Total Security and it's still limited by on licensing function: it enables only one person to activate 10 devices. Where Family Pack differs is that it offers everyone on your network to activate whatever they like. Other than the very flexible licencing, you get everything you'd expect from Total Security. A powerful mix of antivirus, firewall, browsing protection, parental controls, anti-theft system, encryption and password manager. New features include a Webcam Protection module which notifies you when apps try to access your webcam and block unauthorised usage. "Advanced Threat Defense" is a new technology which tries to identify suspect processes from their behaviour, keeping you safe from the very latest malware. The "Safe Files" modules protect selected files from unauthorized changes. Right now this is available for Mac only, but it'll be arriving for Windows soon. The Bitdefender Firewall makes it easier for users to understand and use the module and includes a brand new interface, too. Includes an Unlimited-Device, 1-Year licence.